It’s been a while since I’ve done one of these. Hell, it’s been a while since I’ve posted on Oppo. 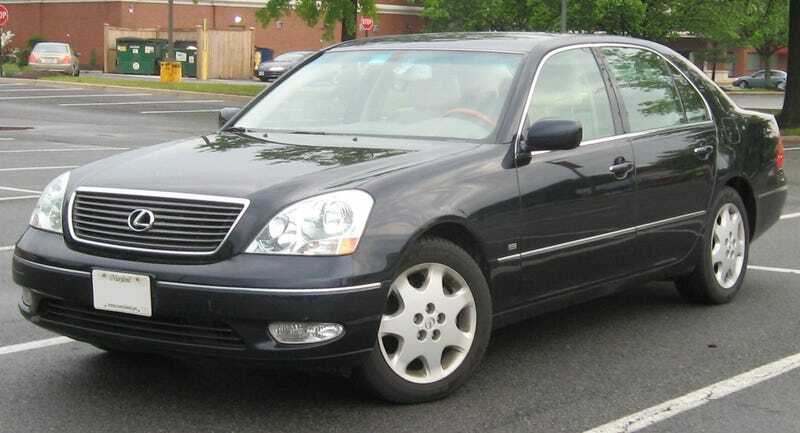 What do you guys think of the early 2000s Lexus LS? I’m looking to buy a new car next year and this is extremely high on my list. With S-Class like features such as, adapative cruise control, 290 Horsepower V8, 0-60 in 6.7seconds,, Optional Air Suspension, LCD Touchscreen with Voice Activiation, RWD, Back-up sensors, Rain sensing windshield, water-resistant glass, optional power reclining massage rear seats equipped with audio controls, power sunshade, cooler and air purifier. The car has dropped to the $10,000 to $20,000 range is the Canadian car market and is a true luxury car in every sense of the word. Despite conservative exterior styling, this car is actually quite popular in the modifying scene. Whats wrong with his car? Anybody have any experience with this car? I am really set on this car and I want to begin saving but I need to know everything. I’d be going from a Civic to this.